As part of our support of the Spanish Film Festival in Australia, Boutique South America is giving you a chance to win US$1,000 towards your dream holiday of South America. Experience the Peru you see in Finding Gaston or the enchanting Buenos Aires featured in Tango Glories. These are just two of the magnificent destinations in South America that could captivate you on your next travel journey. With the expertise of Boutique South America, you can expand your horizons without sacrificing your comfort and style, experiencing the best of this colourful continent in a personalised way, with a customisable travel package you can create according to your preferences, selecting activities you will enjoy and staying in boutique hotels that enhance your authentic, tailored journey. Sorry, that competition is closed. The winner will be announced on Monday 18th of May. Boutique South America is a travel concept inspiring and educating travellers about the wonders of South America. To find out more about what there is to see in South America, visit our InspireMe Blog. 1. Competition consists of $1,000 Travel Credit for a travel services through Boutique South America. 2. Competition closes at 5pm Sunday 17th of May and will be announced on Monday 18th May by telephone and email as well as through social media channels including but not limited to Facebook, Instagram, Twitter. 3. The prize of $1,000 travel credit is valid for packages and land and flight programs only. Travel credit cannot be applied solely to the purchase of airfares to South America and must be applied in conjunction with a holiday package or combined accommodation and touring services to countries that Boutique South America operates in. 4.Prize is not transferable or redeemable for cash. 5. Prize is open to Australian residents only. 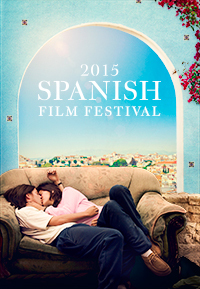 By entering and participating, entrant agrees to hold harmless, defend and indemnify The Spanish Film Festival in Australia against any and all claims, demands, liability, damages or causes of action (however named or described), losses, costs or expenses, with respect to or arising out of or related to (i) entrant’s participation in the Sweepstake, or (ii) entrant’s participation in any Prize related activities, acceptance of a Prize and/or use or misuse of a Prize (including, without limitation, any property loss, damage, personal injury or death caused to any person(s). Want to see more of South America on film? 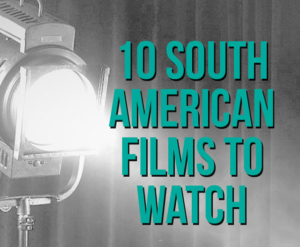 We’ve compiled a list of 10 South American Films to Watch from the last few decades so you can continue to get your fix of great Spanish speaking films. Featuring some favourites plus some well and lesser known titles all set or created in South America, this list is sure to entertain, amuse and intrigue any lover of great international films.